These two reflection nebulae are a small part of a large dust cloud in the constellation Camelopardalis. 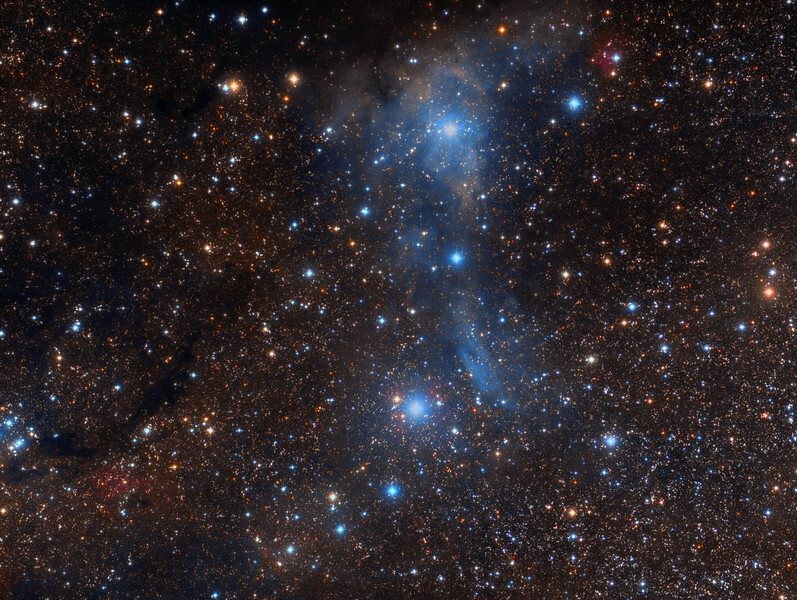 vdB 15 is the blue area to the top and vdB 14 is the sickle-shaped blue nebula down. At a distance of about 3000 light years, magnitude 5 and magnitude 4 supergiants respectively illuminate them.